Process Pink is one of the leading providers of credit and debit card-based payment processing services in the United States. When a consumer makes a credit card purchase at a Process Pink participating merchant, a portion of transactions is donated to ta portion of transactions is donated to leading national charities. You may use our site without disclosing personal, identifying information. We will not obtain such information about you unless you choose to submit it to us. If you supply personal, identifying information (such as name, address or telephone numbers) for various purposes on this site, we only use the information for that purpose (such as to provide the service or information you have requested). 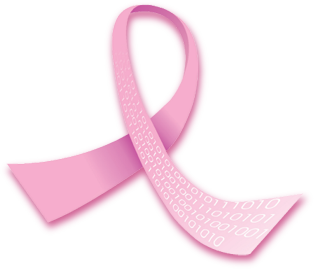 Process Pink takes every precaution to protect our users' information. When a registration/order form asks users to enter sensitive information (such as credit card number), that information is encrypted and protected with the best encryption software in the industry-SSL. Should you enter your credit card number to make an online gift to Process Pink, we will use the credit card number only to process your gift. While we use SSL encryption to protect sensitive information online, we also do everything in our power to protect user information off line. Our software and hardware is configured to provide maximum security. When you become a registered user of Process Pink, you provide us with personal information such as your e-mail address and your account number. Becoming a registered user enables you to review confidential account information for the service(s) that you are enrolled in, and perform other confidential transactions. You may decline to receive e-mail offers from Process Pink at any time. We do not provide your e-mail address to any other companies for them to market their products or services to you. When we hire vendors to deliver e-mails to you on our behalf, they cannot use your e-mail address for any other purpose. products and services if you have requested that Process Pink send you offers from its partners and/or advertisers. Process Pink does not provide these companies with personal information about you. To decline offers from other companies who may send offers on Process Pink' behalf, you should follow the instructions provided by that company. Process Pink may hire other companies to place our banner ads on other Web sites and to perform tracking and reporting activities ("third-party advertisement servers"). They do not collect personally identifiable information in doing this work for us, and we do not give them any personally identifiable information. Third-party advertisement servers are subject to their own privacy policies. If you would like more information about the privacy policies of these third-party advertisement servers, including information on how to opt out of their tracking methods. Whenever you visit Process Pink we gather general information about your visit - the site you are coming from, pages or areas you visit on our site, and how long you stay at a particular location on the site. This general information is used only in the aggregate, much like television ratings. This information helps us identify popular areas of our site as well as areas that could use refinement, so that we can keep content on the site fresh and relevant to our users' interests. Many improvements and updates to the site are based on this data. We do not collect any personally identifiable information from you except when you expressly volunteer it under special circumstances described below, such as entering a contest. If at some point during your visit to Process Pink you take part in a survey or promotion, download documents, or if you choose to contact us for some reason, we may ask for personal information such as your name, address, and e-mail address. We also may ask you for information about your interests, opinions and background so that we can better interact with you in the future and better understand your needs as a customer. Providing such information is always optional on your part. When you submit personal information to us, you also may choose to be notified by e-mail about additional products and services offered by Process Pink. If you'd like to join our mailing list to receive more information about our products and services please check the opt-in box on the appropriate web form. We only add users to our mailing list when they choose to subscribe. Information collected at Process Pink will not be sold, rented, lent or otherwise disclosed to anyone other than Process Pink' affiliated and direct and indirect subsidiaries of Process Pink. Any personal information you may choose to give us is used only to fulfill the service you have requested, such as ordering a document or subscribing to a mailing list.